Maple coaster set includes four coasters and display stand with black brass engraving plate. Maple wood coasters are 3-1/2" square. 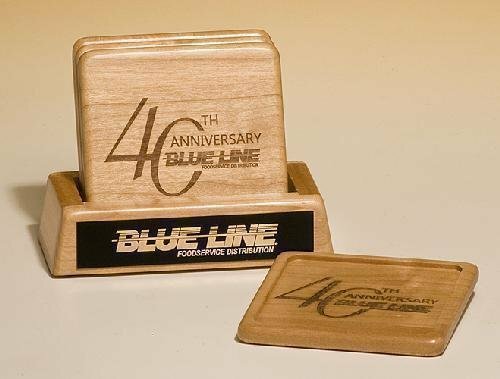 Both the coasters and the display stand are laser engravable. Individually boxed.